Products of the domain : Château Bousquet. The Château Bousquet vineyard extends over a very beautiful soil of 55 hectares, 40 km south-east of Bordeaux, in the commune of BUDOS. The hillside, varied, is very gravelly at the top and clayey-limestone below. 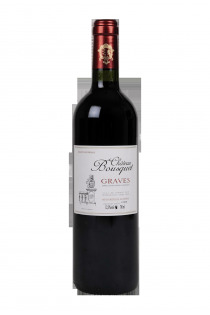 Graves - 2016 - Château Bousquet.